It seems utterly bizarre to expect the general public to have some awareness of Morbius the living vampire, a relatively minor supporting character from the Spider-Man comics, but that’s what Sony is hoping to accomplish with director Daniel Espinosa’s Morbius movie. The film will star Jared Leto as the living vampire himself, with the project reportedly moving forward much faster now thanks to the massive success of Tom Hardy’s Venom movie—which also centered on a character from Spider-Man comics but didn’t feature Spidey himself. Leto’s involvement in Morbius reportedly came from his desire to have a specific comic book character he could make his own (unlike the Joker, presumably, since DC isn’t exclusively handing him to Leto). 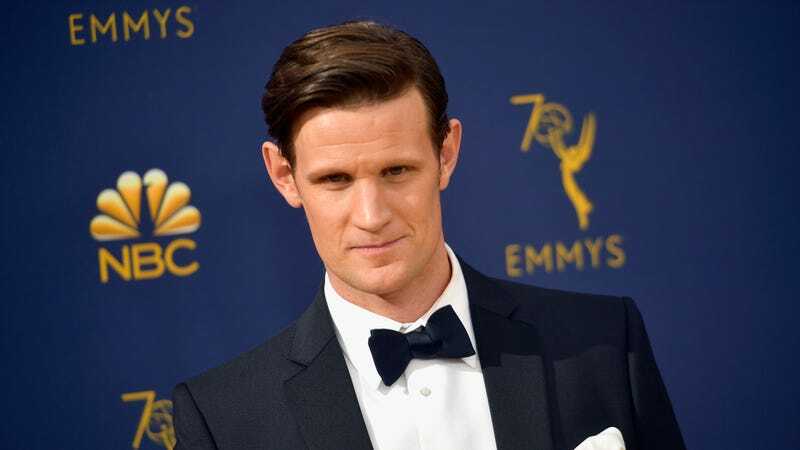 That’s all we’ve known about Morbius for a while, but now Variety is reporting that former Doctor Who star Matt Smith has joined the cast. We don’t know who he’s playing, and since we don’t know anything about what the movie’s planing and the character doesn’t even have the famous-ish supporting cast that someone like Venom does, we can’t even really guess who he’ll be. Maybe some kind of bad scientist who is involved in turning Morbius from a regular guy to a vampire-y guy? Variety says Smith will have a “major role,” but that still doesn’t help. Maybe he’s Spider-Man? That would be a wild twist. It was long before Matt Smith's era, but there was a Doctor Who episode with "Morbius" in the title!